Imagine in your head what a bridezilla is like. What springs to mind? For me, I imagine a bride tearing her hair out, shouting at people and being on the edge of wedding burnout. Not a pleasant image is it? Now imagine what that bridezilla feels like inside. Being this way must be exhausting, anxiety-inducing and downright upsetting. I don’t like to see any bride in this state, which is why I’m here to help! If you’re getting anywhere near to bridezilla territory then change needs to happen and, like anything, prevention is better than cure. Look after yourself mentally and physically. Make time for self-care. Why not try meditation which has tonnes of benefits when it comes to all this. Not sure where to start? Check out this YouTube video I’ve done as a bit of an intro. Seek support from those around you or someone objective (like moi). Visualise the kind of day and engagement you want to have. Choose your battles and don’t let others take your power. You’ve got this. How you respond to others, and all the wedmin you’re drowning in, is up to you. Throughout your engagement it’s quite likely your wedding is going to be a big deal to you, and so it should be. However, it’s important to remember that it’s not the be all and end all. It is a hugely exciting and special time but don’t let it take over everything or you may start to resent the wedding planning process, rather than enjoy it. Also remember that whilst it’s a big deal to you it might not hold quite the same level of importance to your friends and family. Of course they will be excited for you and eager to be involved but they probably have other things going on as well. Try to keep that in mind and go easy on them if they seem distracted by non-wedding related matters from time to time. It’s also important to try to notice when you’re getting unnecessarily hung up on the detail. You may get a bee in your bonnet over something not quite going to plan. 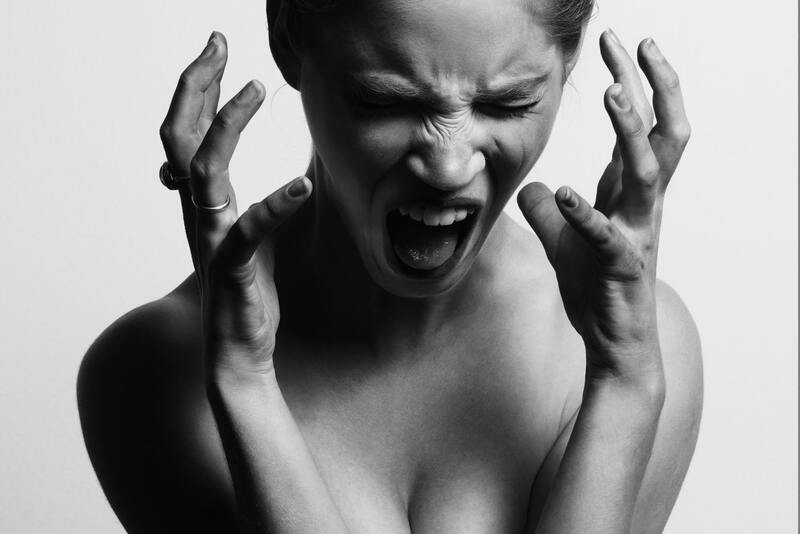 The temptation is to speak (at length) to those around you about these frustrations which could make you feel a little bridezilla-y. It’s important to vent and seek support but be mindful that giving momentum to the annoyance, by talking about it constantly, is only going to make you feel worse. 1. Does it really matter in the grand scheme of things? 2. Is it worth impacting my happiness levels? Side note: the answer to question 3 is always YES! As we well know, when it comes to weddings, everyone has an opinion. These opinions can be brilliant at times, but they can also be a massive pain in the arse! Remember that we all see things from our own unique viewpoints and there isn’t really any right or wrong. Take for example the decision some couples make about having a child-free wedding. This divides opinion like nothing else! There is no right or wrong, just a difference of opinion and that’s ok.
We’re all entitled to an opinion and rather than getting cross when someone disagrees with you, feel comfortable in the knowledge that it’s your decision that counts. As long as you and your partner are on the same page that’s all that matters. And if you’re not, then perhaps a compromise is the way forward? Thank people for their opinions and don’t feel the need to go into crazy amounts of explanation to justify your wedding decisions. No need to get defensive. Simply state your opinion and the decision you’ve come to, thank them for theirs and bob’s your uncle. No drama. And if you’re entering territory of conflict have a read of this blog post. This whole wedding planning malarkey can feel like a full time job at times can’t it? Maybe you’re waiting for what seems like yonks to hear back from your photographer. Remember that they’re not sat at a desk all day waiting for your email. Your photographer and most of your suppliers will be out and about all over the place, with lots of other weddings in their packed schedules as well. Cut them some slack. Of course, if you feel as though you’re not getting the service you’re paying for then this obviously needs to be addressed but pick your battles. If you come across like a bridezilla from the off then you’ll slip very far down their ‘favourite client list’ and that’s no good for anyone. Always be polite in your correspondence with your venue and suppliers. I’m a strong believer that nothing good ever came from being rude. That said, this doesn’t mean you should be a pushover. It’s important to strike that balance. If you need advice on anything like this then get in touch. It can be tricky knowing how to manage these relationships and cutting down on stress on your part needs to be the main focus. Being at loggerheads with your suppliers is not going to make you a calm and happy bride! I’m going to be teaching lots of these little strategies in a group workshop so make sure you subscribe to my mailing list and get a freebie whilst you’re at it. Also make sure you’re following me over on Instagram and Facebook for my daily doses of wedding and personal development inspo!